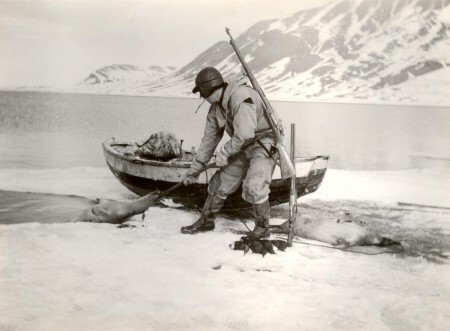 Since the 1600’s people from several nations have carried out various activities in Svalbard: hunting and trapping, research, mining and tourism. For a long time these activities took place without the region belonging to any state- Svalbard was a kind of international common land. This meant that there were no laws or regulations, and there were no courts to settle disputes. This functioned well as long as the activities consisted of hunting, trapping, fishing and research. The region was large and the conflicts few. At the beginning of the 20th century it was mainly the mining industry that created the need for changes. It was important to have sole rights to land and mineral deposits, and there arose a need for legislation and courts to settle disputes, for example between the mining companies and their workers. 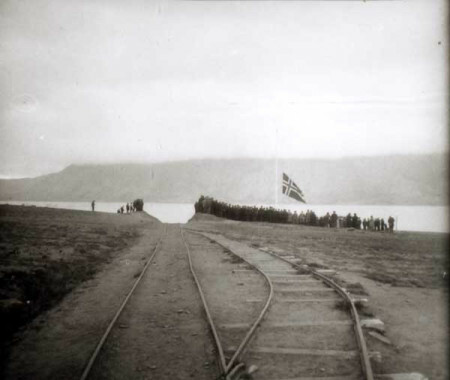 Several attempts to find a solution were made, but it was not until the Versailles negotiations at the end of World War I that agreement was reached on The Svalbard Treaty, which was signed on 9 February 1920. Svalbard is made up of all the islands between 74°and 81° north and 10° and 35° east, as well as all the sea areas within 12 nautical miles. Article 1 states Norway’s absolute and unrestricted sovereignty over Svalbard. Nevertheless the Treaty imposes a few limitations on Norwegian sovereignty. Through their legislation and administration the Norwegian authorities must ensure that these conditions are respected. In these areas, as in others, the Norwegian authorities can regulate the activities. They can, for example, forbid or set conditions on activities, but no one can be treated differently because of their nationality. Article 8 states that the taxes, fees and charges that are collected can only benefit Svalbard. Norway may not use its authority to collect revenue above that which is needed for the administration of Svalbard. In practice this means that the income tax on Svalbard is lower than on the mainland. There is no VAT or other fiscal taxes. All revenues and expenses for the administration of Svalbard are kept in a separate budget, the Svalbard Budget. In actual fact the Norwegian state subsidises this budget. Under article 9 Norway is obliged to prevent the establishment of fortifications or naval bases. Svalbard must never be used for war-like purposes. Norwegian military activity on Svalbard is very low-key, mainly consisting of Coast Guard surveillance. Foreign military activity is undesirable. The Treaty obliges Norway to be responsible for the preservation of the natural environment of Svalbard. The Svalbard Treaty is one of the few parts of the agreements reached at Versailles that still have practical significance. 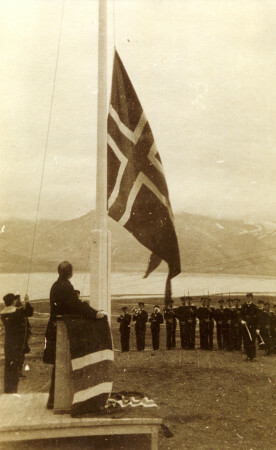 Norwegian policies concerning Svalbard have always had an aim to respect the Treaty, and to ensure that it is complied with in order to bring peace and stability to the area. The Treaty has, without doubt, helped ensure that this has been a success. At present around 2600 people live in Svalbard. These come from many nations, but the largest groupings are Norwegians living in Longyearbyen, Svea and Ny-Ålesund and Russians and Ukrainians in Barentsburg. The Treaty regulates research, but states that such regulations shall be set forth under a separate agreement. Such an agreement has not yet been worked out. In practice- and in the spirit of the Svalbard Treaty- researchers from all countries are given equal rights to conduct research. In the course of the last few years, considerable international research activities have developed on Svalbard. Afghanistan, Albania, Argentina, Australia, Austria, Belgium, Bulgaria, Canada, Chile, China, Denmark, Egypt, Estonia, Finland, France, Great Britain, Germany, Greece, Holland, Hungary, Iceland, India, Italy, Japan, Monaco, New Zealand, Norway, Poland, Portugal, Romania, Russia, Saudi-Arabia, Spain, Switzerland, Sweden, South-Africa, The Dominican Republic, USA and Venezuela.